Earlier this month (and several times throughout the year), Laura lamented to me about the lack of video games where she can play as a werewolf. I had hoped that the release of the Dawnguard expansion for Skyrim would provide her with countless hours of bounding through moonlit nights and howling at the moon. Instead, my better half decided to become a Vampire Lord and terrorize the citizens of Tamriel with her insatiable bloodlust. And so, with the spooky atmosphere of Halloween guiding my gnarled talons, I have decided to compile a list of video games where my beloved can indulge her lycanthropic fantasies. 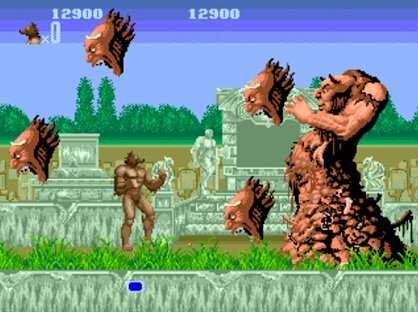 Let’s begin our wolfen journey with an old favorite of mine: Altered Beast. In this classic Sega title, our hero, a fallen Roman soldier, is risen from his grave by Zeus and ordered to rescue the deity’s daughter from certain peril. To equip the undead hero for battle, Zeus grants him the ability to collect spirit orbs and transform into man-beast hybrids. The first and last of these transformations turns the centurion into a majestic werewolf, who can throw fireballs and perform a flaming jump kick right through his enemies. Totally awesome. Back in the days of the NES, most games did not require elaborate stories, or a plot that actually makes sense. Werewolf: The Last Warrior is a prime example of this sort of title. On the second intergalactic colony of Earth (aptly named “Red Earth”), the player takes control of a man named Ken, who utilizes his ability to become a werewolf (named Warwolf) to defeat the nefarious Dr. Faryan and his band of supermutants. Even more strange than the plot of this game is the fact that in some screenshots, the hero has normal arms, while in others, he has massive blades for appendages. Most titles that feature a lycanthropy mechanic provide power-ups to induce transformation or just start the player in wolfen form. 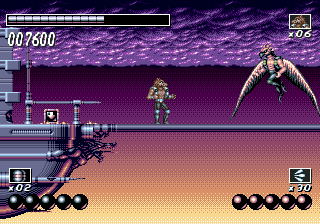 Wolf Child introduced an interesting twist to the traditional methods: the main character would only transform into a wolfman when the player had boosted his health to a certain point. For more on this interesting title, be sure to check out the game designer’s blog for details. When Laura and I started this blog, one of the games I wanted to share with her was Castlevania: Symphony of the Night. 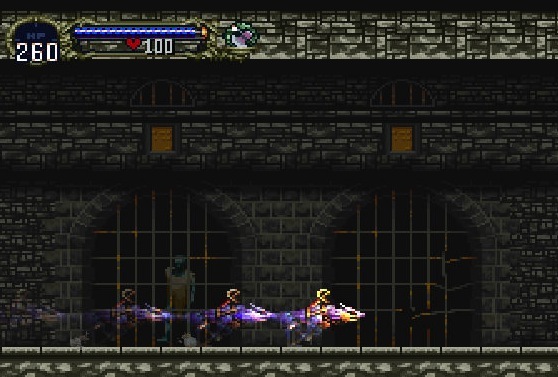 I figured that Alucard’s ability to turn into a wolf would be one of the main selling points of this title. 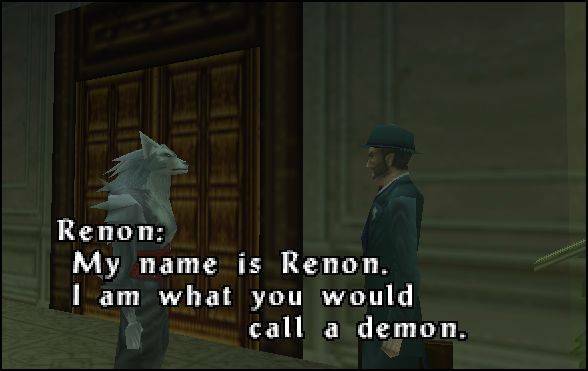 After realizing that his wolfen form is very weak until much later in the game, Laura was rather unimpressed by this shapeshifter. But she did love his little scabbard and belt. Darkstalkers was the first series that Laura and I mutually geeked out about. Each of us have fond memories playing this horror-inspired fighting game. 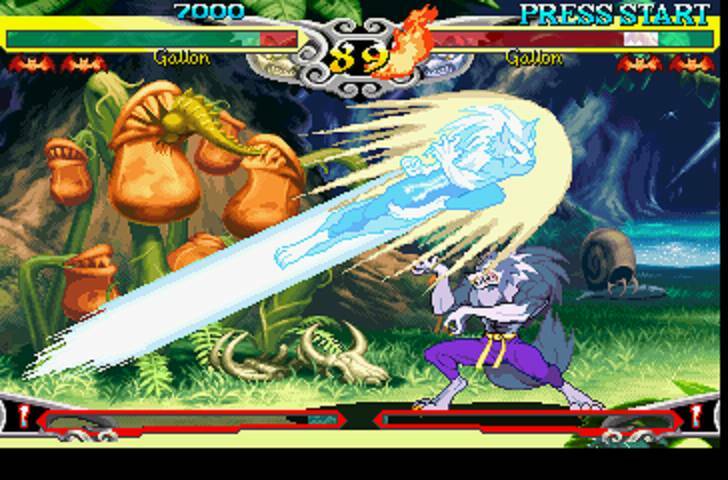 I would regularly play as the lovable ghost girl Hsien-Ko, while Laura would take on the role of the werewolf martial artist, Jon Talbain. One thing I always wondered: why does a werewolf need to battle with nunchuks? Killer Instinct is a cartridge that still makes the rounds in my family’s Super Nintendo. 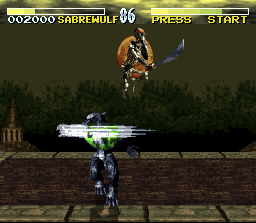 My brother and I had many an epic battle between the lycanthrope Sabrewulf and the animated skeleton Spinal. But, as it goes with fighting games, the balance of power shifted, and now Cory is the master of the Ultratech tournament. In a fighting game about soldiers who can transform into animals, you can pretty much count on a werewolf character being included in the roster. 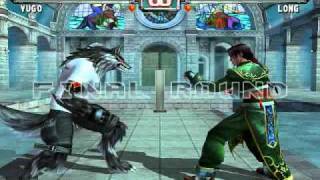 Bloody Roar featured Yugo Ogami as the resident werewolf protagonist, who is trying to uncover the circumstances behind his father’s mysterious death. 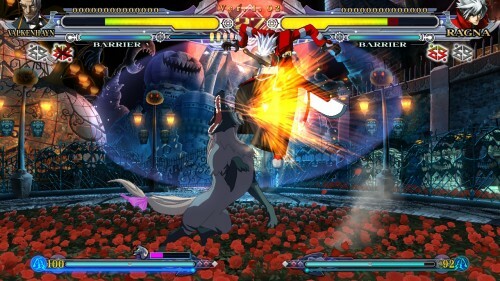 Despite my absolute devotion and love for Guilty Gear, I could never seem to get into its spiritual successor, Blazblue. You would think that the inclusion of a very detailed training system, along with a playable werewolf character (Valkenhayn R. Hellsing) would guarantee that Laura and I would pick up this game, but somehow, we still have not purchased it. When Castlevania 64 was first previewed, it featured four playable characters, but in order to release at a “reasonable” date, two of the characters (along with several levels) were cut from the game. 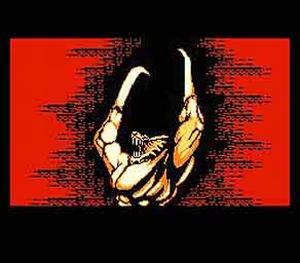 Later, Konami would release Castlevania: Legacy of Darkness, which cast the once-cut werewolf Cornell as the main character and included many of the features that were previously removed. I guess even game developers need a do-over sometimes. On the once peaceful shores of Lake Jansenia, the bodies of young maidens have been found slashed and torn to pieces by wild dogs. As the player investigates the area, the governor Sirius challenges the hero to a battle at his mansion at night. 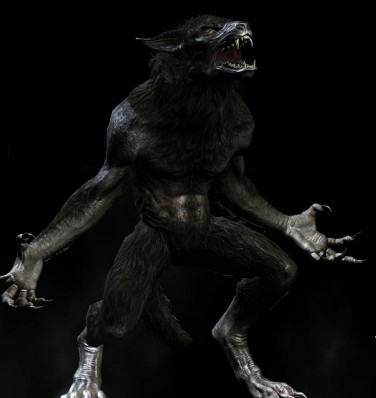 Sure enough, the governor is the werewolf behind all the attacks, and any of the player’s soldiers who are bitten by the madman receive the curse of lycanthropy. 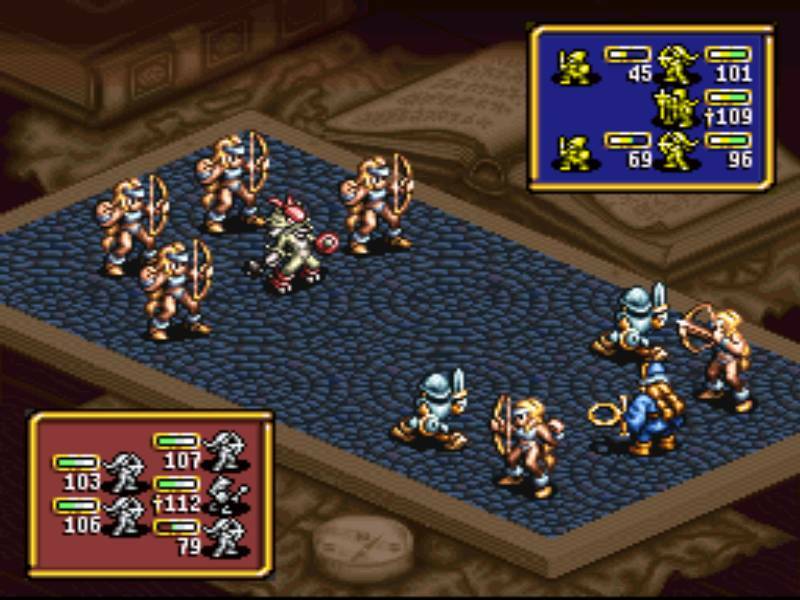 And that is how you make werewolf troops in the SNES classic Ogre Battle! So let me get this straight: in A Link to the Past, the Hylian hero turns into a defenseless pink bunny when he passes into the Dark World. 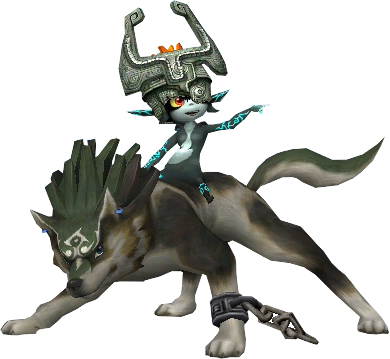 But in Legend of Zelda: Twilight Princess, Link transforms into an awesome wolf when he is pulled into the Twilight Realm. Hmm, I suppose bounding through the game world as a wolfen hero is much cooler than hopping along as a fluffy bunny. Not all heroes become stronger when they become werewolves. Just look at Sonic the Hedgehog. 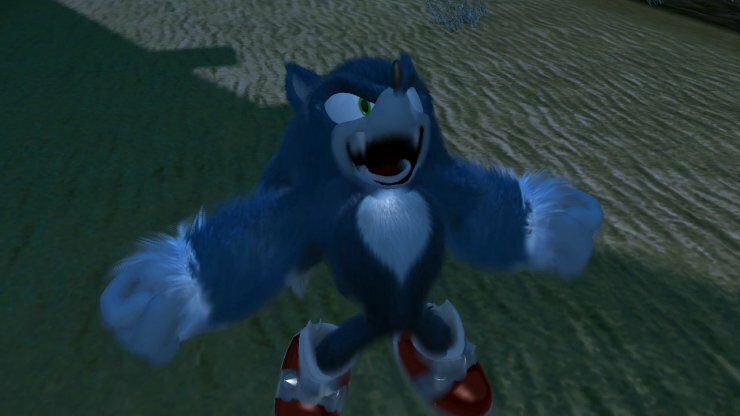 In Sonic Unleashed, Sega’s speedy blue mascot transforms into the werehog, which slows him down and makes his arms all stretchy. Similarly, Sonic Unleashed transformed a once great game series into a pile of crap. Alright, you figured it out. 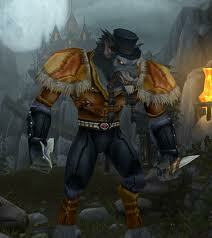 Not only does World of Warcraft: Cataclysm provide the player an opportunity to take control of a Worgen warrior, but you can also dress up your werewolf character in a fancy top hat. So please, don’t let Laura know, or we will never get anything done around here.